This is the sad tale of a young woman aged 31 dying in mysterious circumstances where the inquest went off entirely on the wrong footing. Joanne Foreman was not a diabetic but lived with a young boy who was. It was suspected that on the night before she died she had drunk heavily and then injected herself with insulin. The inquest proceeded on this basis. Nobody told the expert that the paramedics had taken a blood glucose from Joanne, which was entirely normal. Once this was known, it was obvious that the court would quash the findings at inquest and order a new inquest. But the case contains powerful guidance from the Chief Coroner (sitting as a judge on this decision) about how to conduct the pre-inquest review. Most of the judgment by Pitchford LJ seeks to explain why the dark suspicions of Joanne’s stepfather, Mr Brown, about how the investigation was managed were unjustified, despite the admittedly inadequate way in which it was carried out. How Joanne in fact died will be a matter for a new inquest. However the Chief Coroner, in a concurring judgment, gave some very helpful guidance on how to avoid ending up with deeply dissatisfied relatives at the end of the process. The first step is simple and technological. Rule 26 of the Coroners (Inquests) Rules 2013 requires the pre-inquest review to be recorded. But the Coroner must ensure that recording equipment is working well and that those who speak in court do so in such a way that the recording can be transcribed with accuracy and in full. An incomplete transcript is not helpful. It may open the door (as in this case) to allegations of tampering and deliberate and fraudulent removal of key questions and answers. A pre-inquest review hearing…is an important stage towards the final hearing. 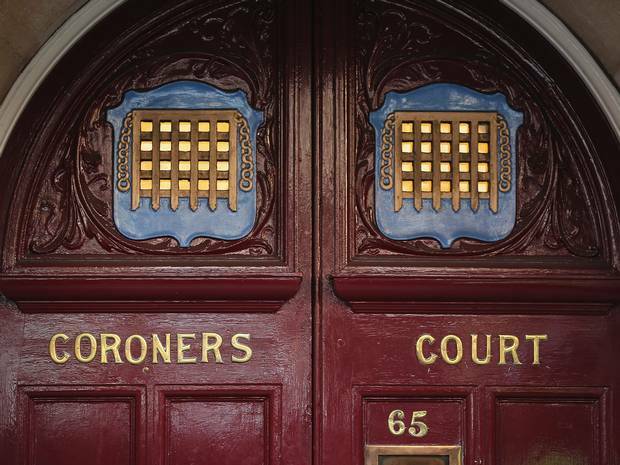 In each case the coroner should ensure that all interested persons, particularly bereaved families, have sufficient notice of the matters to be discussed at the pre-inquest review hearing. The claimant asserted in this case that he had no notice of what was going to be discussed at the hearing and was therefore unprepared when asked which witnesses should attend to give evidence and whether he accepted that the cause of death could not be established. Coroners should therefore provide a written agenda in advance and, if appropriate, express provisional views so that agreement or opposition can be expressed. Again, simple stuff, but given that very often bereaved relatives represent themselves, it is obvious that they need time to think about the implications of what the review will discuss. the date of the final hearing. The Chief Coroner then says that in a complex or difficult investigation interested persons should be invited to respond to the coroner’s agenda in advance of the pre-inquest review hearing in writing. This is particularly important. Those potentially responsible for a death (say, the police, the car driver, the hospital, the employer or the prison service) will usually be represented.They will know how inquests go. The bereaved will have little idea if unrepresented. He or she may think that they need help, rather than realising that, too late, after saying the wrong thing before the coroner. The coroner should also ensure that interested persons, particularly those unrepresented, have sufficient disclosure of relevant statements and documents before the pre-inquest review hearing so as to be able to address the agenda on an informed basis. The claimant asserted in this case, as the coroner’s note of the hearing states, that ‘he had not received copies of the post mortem and toxicology reports’. If correct, that would have placed him at a considerable disadvantage for the pre-inquest review hearing. Well, yes indeed. How can a relative respond to the coroner if he or she does not know what the medical evidence (correct or incorrect) suggests? Because that evidence sends the investigation off in this direction and tends to close down that direction. The claimant’s view of the pre-inquest review hearing was that the coroner had made up his mind what the outcome of the inquest would be. Coroners should avoid giving the impression at a pre-inquest review hearing (and in any documentation supplied before it) that the findings and conclusions of the inquest are in any way pre-determined, even when the evidence points substantially in one direction…. Another complaint by the claimant was that on the day of the pre-inquest review hearing and shortly before the hearing, he and his wife saw two key police witnesses in a private room with the coroner discussing the case…. Coroners should at all times take care in their dealings with interested persons not to give the impression of bias or favouritism. Coroners may need to communicate to police officers investigating on their behalf, but their communications, whether oral or written, should be made in such a way that they will not, as Lord Justice Pitchford expressed it, engender concern to others that their interests were being treated as secondary. A coroner should therefore be careful in correspondence with an interested person, such as the police, not to appear to be too familiar or close to the correspondent and not encourage the same from the correspondent, even though the coroner may know the correspondent well in the course of coroner work. This was one of the claimant’s complaints. Even the use of first names may not look good to an outsider, particularly to somebody of the older generation. Coroners should only write letters (and emails) in the course of their work which will stand the test of looking fair and unbiased if and when read out in court in litigation. A highly pragmatic way in which to set the scene for an inquest in which bereaved and others feel as if they are on an equal footing.